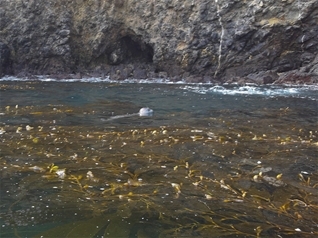 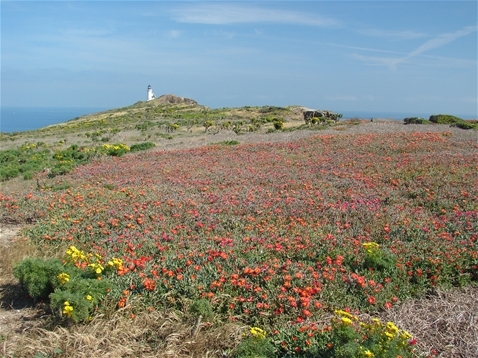 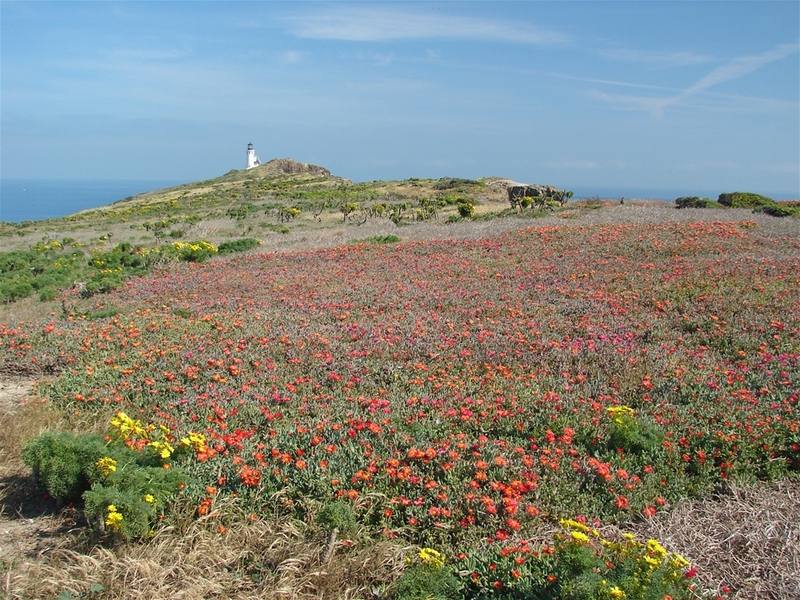 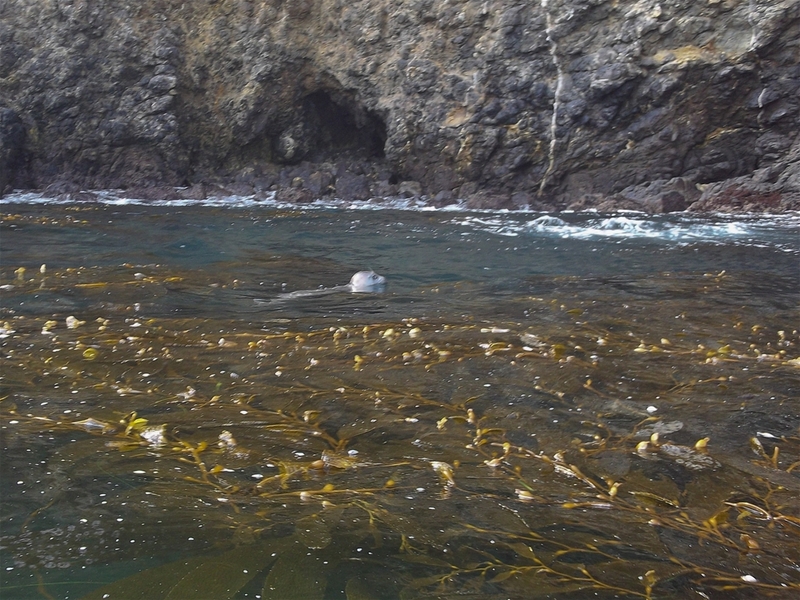 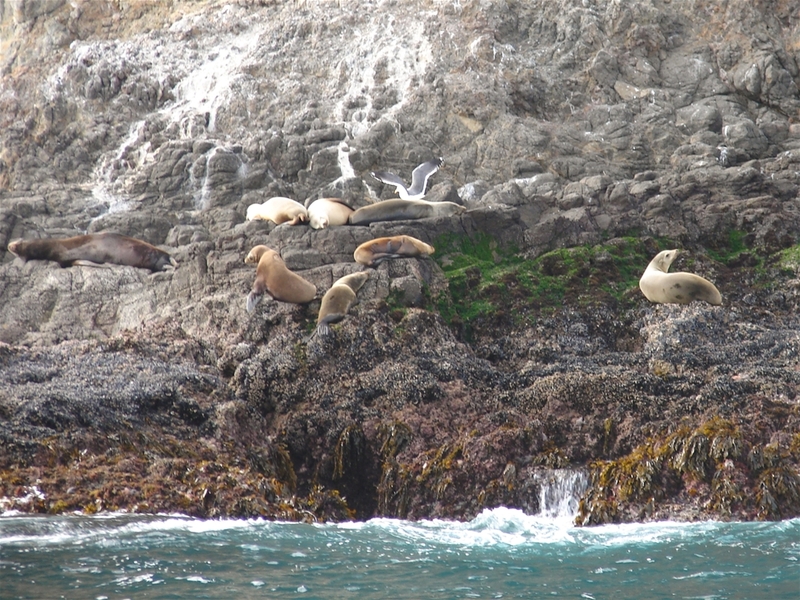 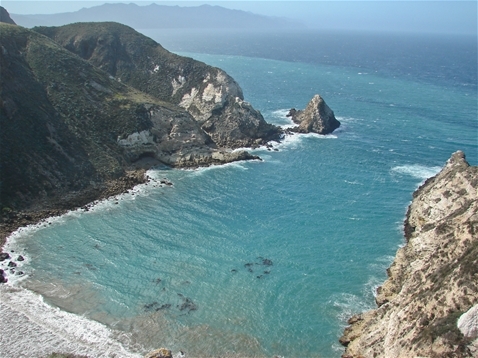 Channel Islands National Park consists of 5 islands off the coast of California near Ventura and Santa Barbara. Each island has its own unique character, but all islands are filled with amazing plant and animal life. 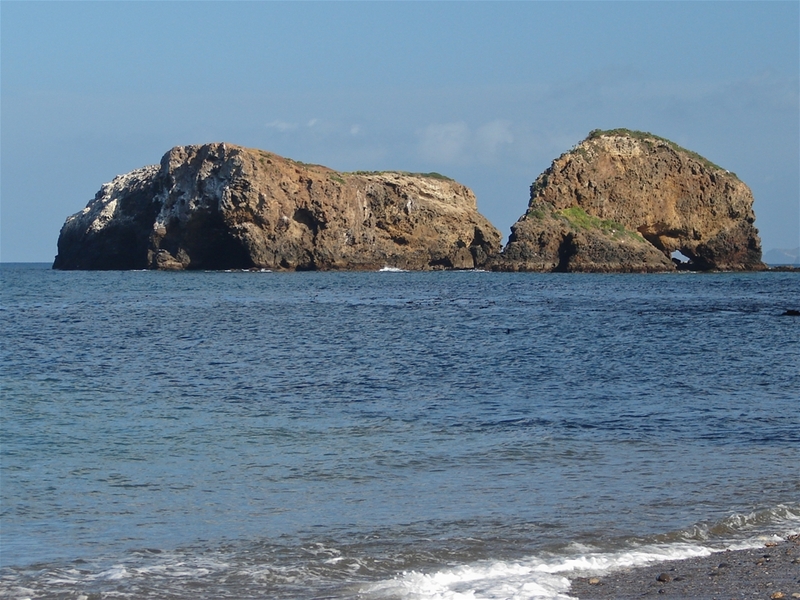 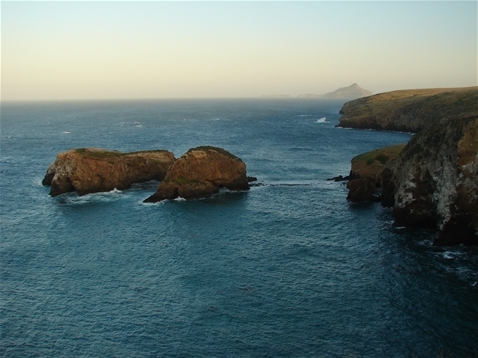 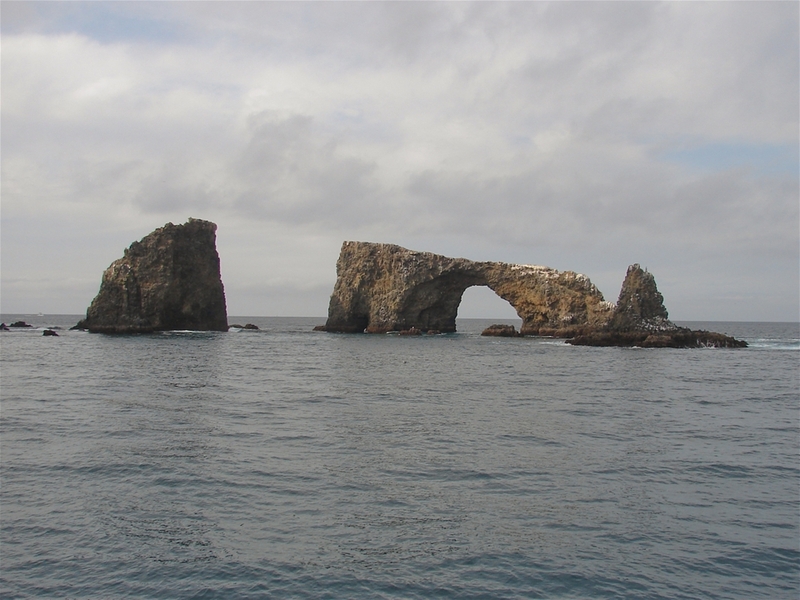 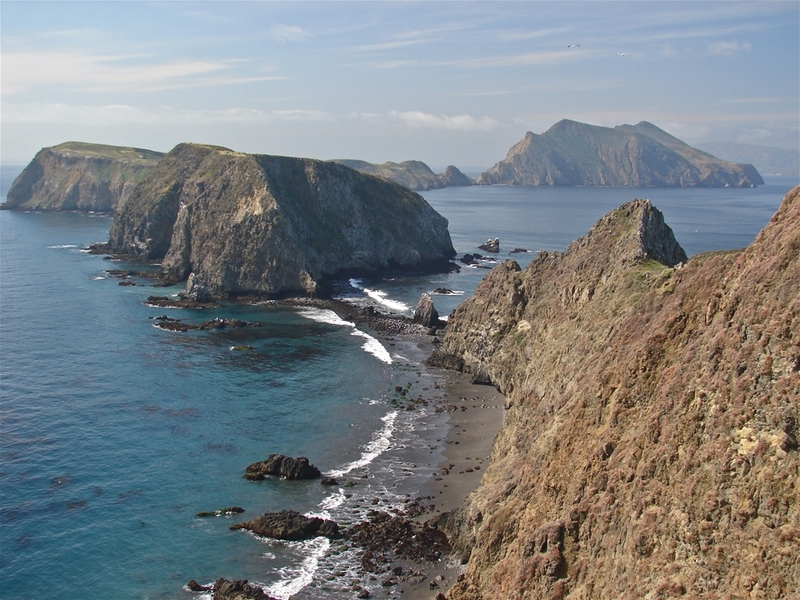 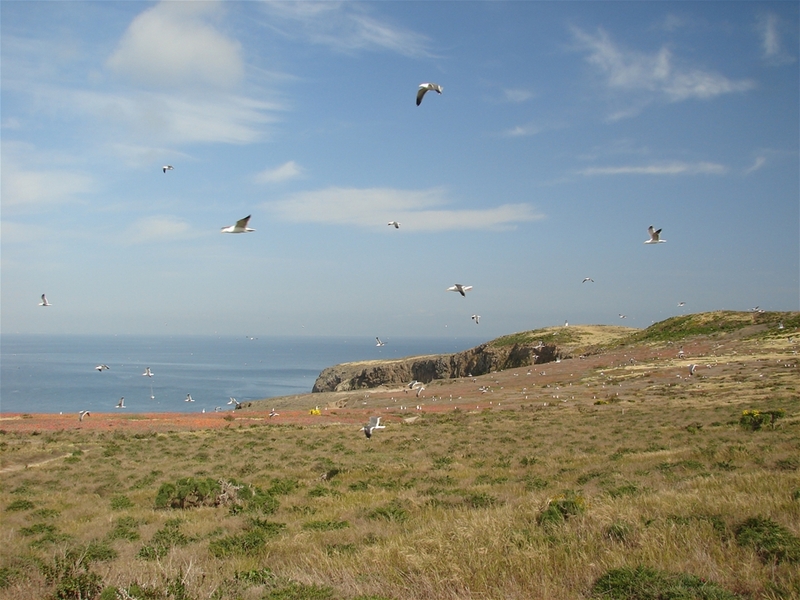 Anacapa Island is home to many rare species of birds and plants as well as some of the most impressive scenery in the state. 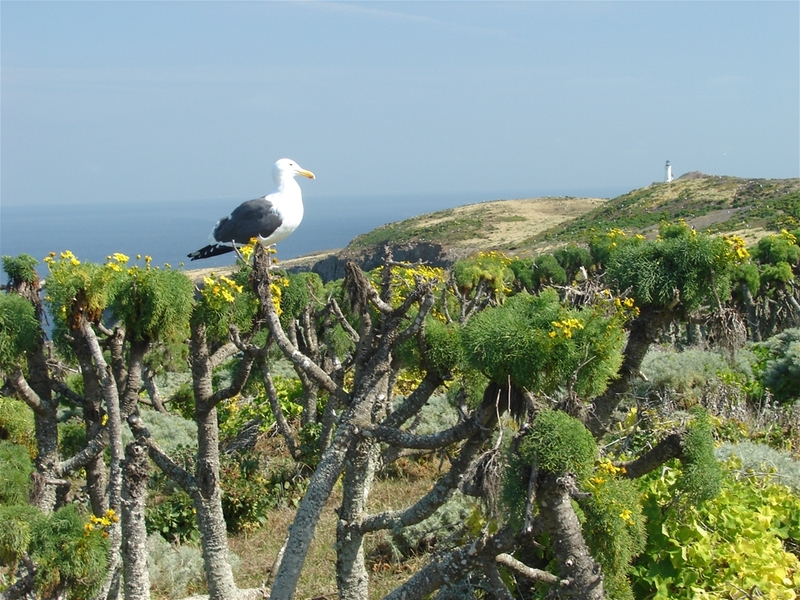 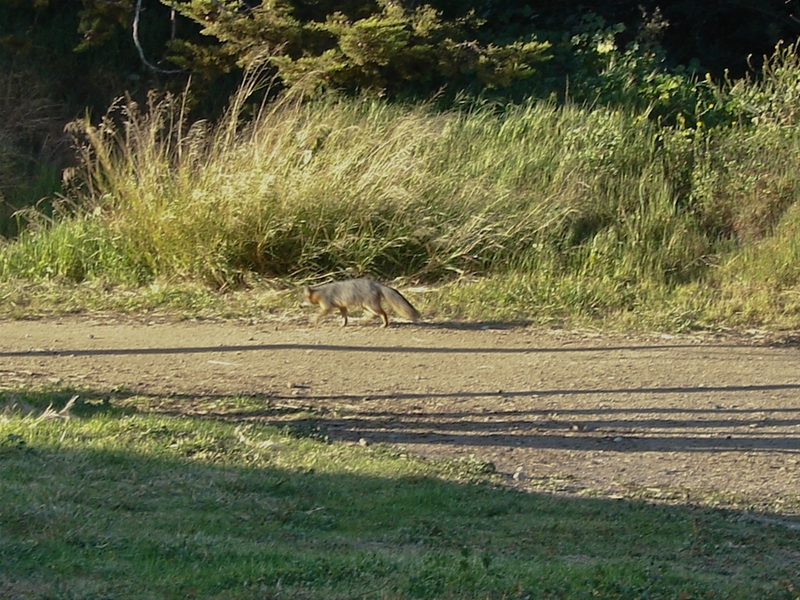 Santa Cruz island is the largest, has an equally impressive array of wildlife and has an extensive network of hiking trails. 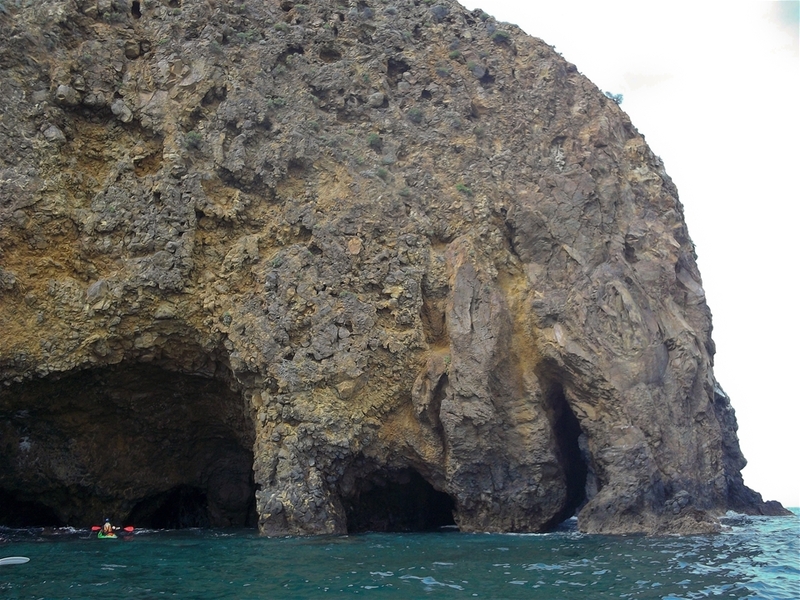 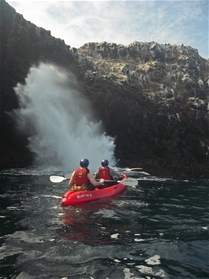 These islands are great for kayaking in the sea caves. 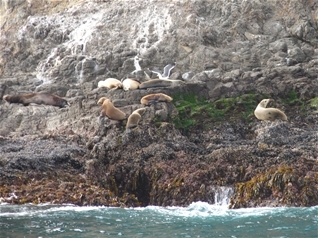 Whales, dolphins and sea lions abound near these islands as well and are likely to be seen on the boat passage here. 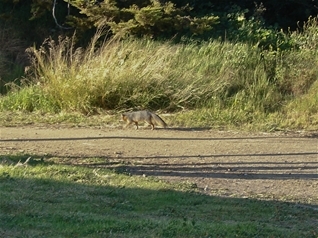 Click here to see picture details and locations. 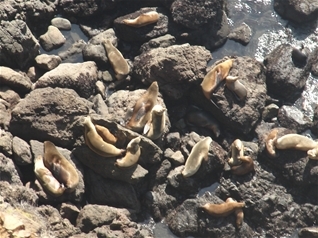 View from Bluff, Santa Cruz Is. Potato Harbor, Santa Cruz Is.